The FAA issues an emergency directive for Bell 222 and 430 helicopters. 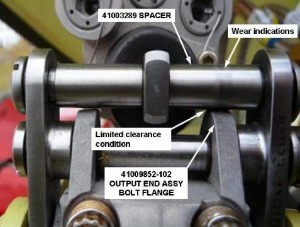 Prompted by a main rotor hydraulic servo actuator malfunction, which suggests an “unsafe condition” exists on other helicopters of the same design. A piston rod had fractured because of stress corrosion cracking; a nonconforming grind was discovered on a separate piston rod. It is not clear if this AD results from an accident or just from an inspection during maintenance. This emergency AD is considered “interim action” pending a reduced life limit and overhaul of the affected service actuators. – Disassembling the actuator to gain access to the piston rod. – Cleaning the piston rod and nut using Acetone and a nylon brush. – Inspecting the piston rod and nut and examining the grind relief for conformance. Replace if not in conformance. – Using a 10x or higher magnifying glass, inspecting for corrosion or damage to the threads. Replace if corrosion/damage is found. – If cadmium plate (gold or grey color) is lacking, replace the piston rod. – If red or orange color corrosion is found, conduct a magnetic particle inspection of the piston rod for a c rack. 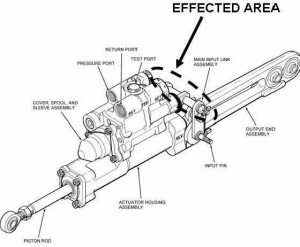 If cracked, replace piston rod. – Apply brush cadmium plating to all bare and reworked areas. – Reassemble servo actuator. Mark it with the letter “B” following the serial number using a scribe or vibrating stylus. The AD illustrates the extent to which helicopters depend on scrupulous maintenance for safe flight.